The view was fantastic. 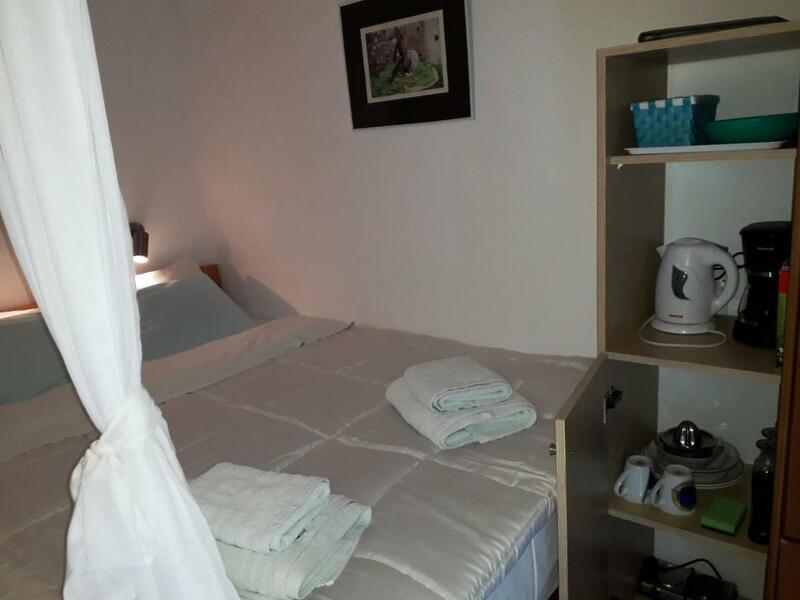 The room was comfortable, clean and the little extras, like wine glasses, refrigerator, basin for rinsing bathing suit, line for hanging wet towels etc, was very thoughtful and added to the stay. Owner very friendly. Pavlos was very helpful and welcoming. The room was cute, clean and the view great. Myrtos is a charming town. The other guests we encountered were all friendly. Super great location, great view, easy access to the beach. Big Blue is my favorite hotel in all of Crete, and I've stayed at a couple of dozens of them. Great location, good comfort, homely rooms, and a very likable owner. The cleaning lady was realy good and helpfull!! Great sea view! The view was just amazing!! The whole place has really nice decoration and holiday atmosphere. 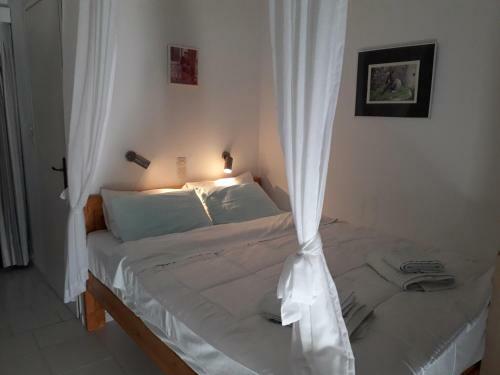 Great place to wake up and see the sea from your bed ! Very nice host. Extremely beautiful view from balcony. Great location and easy parking on two levels, lovely garden and clever little extra touches everywhere (book library, check-in board, free drinks and snacks, hotel-labelled wine gift). Room was so clean you could perform open-heart surgery in there quite safely. 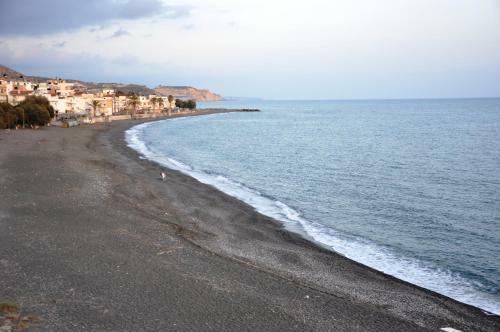 Great view and an interesting town with all the restuarants and bars right on your doorstep. Owners are constantly improving and upgrading the property and clearly very proud of their premises. We liked everything. The balcony is the best. Friendly owner. Beach close by. The owner Pavlos was very, very friendly😃! He gave us interesting information about Myrtos. Unfortunatly we met him only when we had to leave. 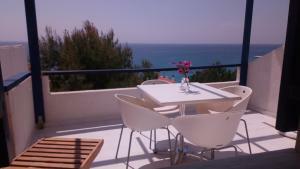 The apartment had seaview, was very good equiped, clean with nice furniture. It had a big balkony overlooking the sea. Speady wifi connection. I can highly recommand it. Lock in a great price for Big Blue – rated 8.7 by recent guests! Big Blue This rating is a reflection of how the property compares to the industry standard when it comes to price, facilities and services available. It's based on a self-evaluation by the property. Use this rating to help choose your stay! 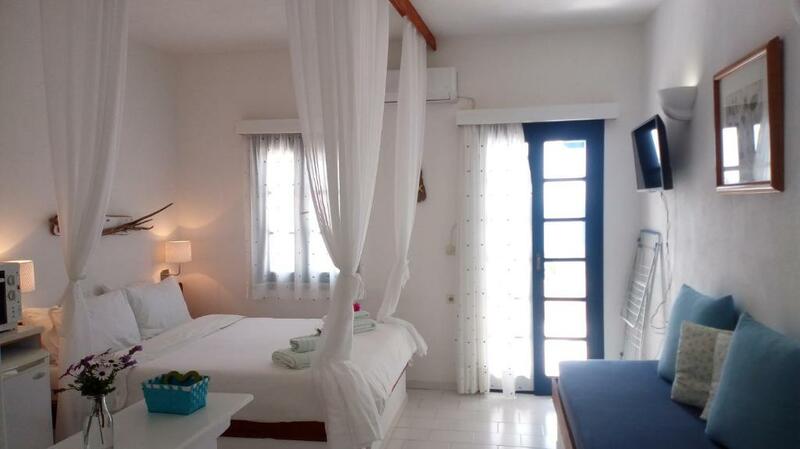 Overlooking the Mediterranean Sea, Big Blue is located in the lovely village of Myrtos, in south Crete. It offers spacious, soundproofed rooms, with free Wi-Fi. The beach is just 150 feet away. Surrounded by a lovely garden with citrus trees and herbs, the fully air-conditioned/heated rooms have private balconies with views of the sea and the village. Guests can take a walk in Selakano Forest, go fishing, or rent a car and explore the historic sites. 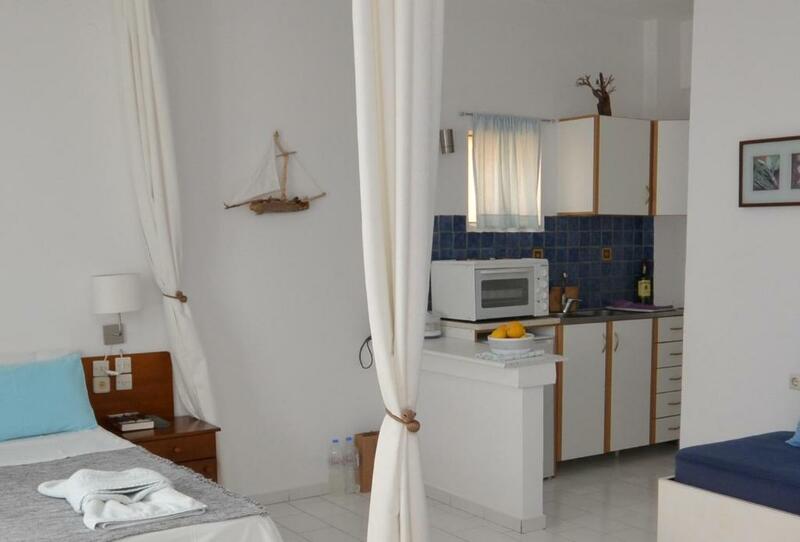 The village has all the local amenities you will need as well as good public transport connections to Heraklion, Ierapetra and Agios Nikolaos. Big blue has adopted the principles of sustainable management for water, energy and waste. When would you like to stay at Big Blue? -bathroom with a shower cabin and hairdryer. Daily room service is provided. 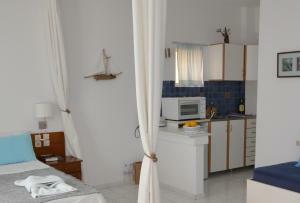 These rooms include breakfast equipment and can be used by 2 guests. 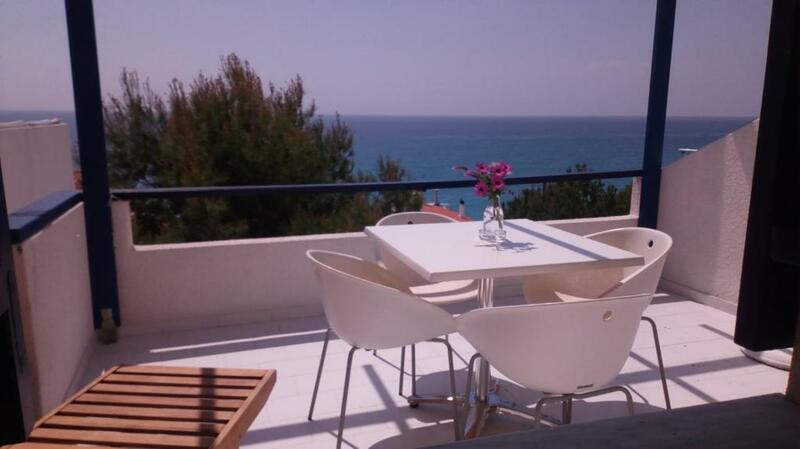 Features a balcony with magnificent sea views and includes air conditioning, mini fridge, kettle and coffee maker. Its bathroom is stocked with a shower cabin and hairdryer. Free WiFi and a TV are provided. 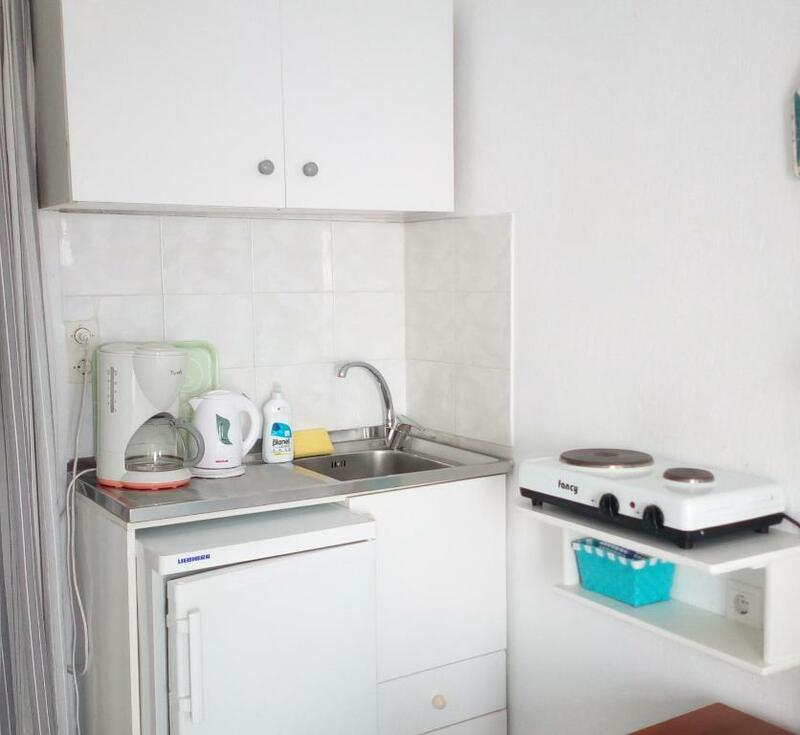 This room also includes equipment for making breakfast and cold snacks. Hosted by The owner Pavlos Daskalakis with his mother Dimitra (86) !!!! The owner Pavlos Daskalakis with his mother Dimitra (86) !!!! Pavlos Daskalakis is the owner of big BLUE. The profession is a retired teacher (Mechanical Engineer and Master kids teacher) specialized in environmental education. Until recently he was Director of Lassithi Environmental Education Centre. He is a member of the Social Cooperative EPTASTIKTOS. It has undertaken the program of sustainable management of the ancient olive trees in the region. So far he has recorded 220 olive trees of an average age of 1350 years. 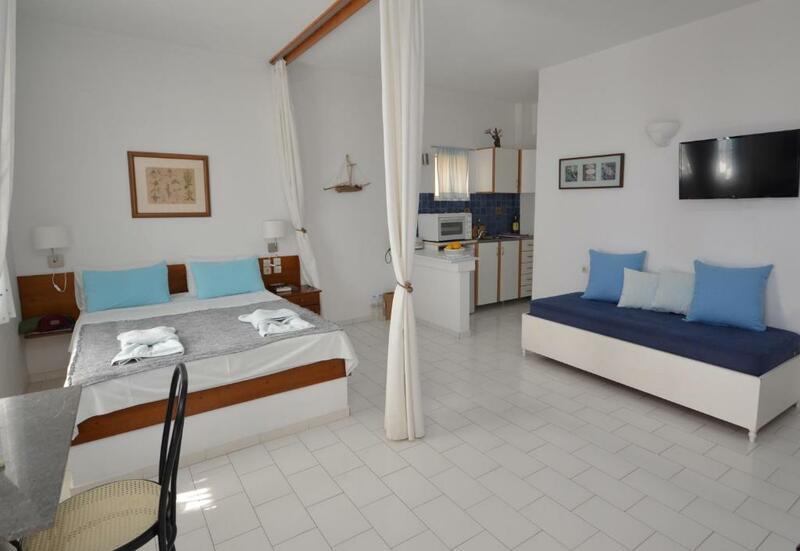 The big blue is located on the western edge of the beautiful Cretan village Mirtos, above the beach. next to the building are the Roman villa and bath, which is visible but not yet excavated. very close restaurants and taverns, the oven of the village, supermarkets, delicatessen shop, butcher shop and some nice cafes. House Rules Big Blue takes special requests – add in the next step! Big Blue accepts these cards and reserves the right to temporarily hold an amount prior to arrival. We didn't even met the owners! The room was extremly tiny!im sure they used it as a storage!! Minimal room with basic stuff. Beautiful views over the town and water, kind staff who were not intrusive and kinda let us do our own thing (while still being helpful when needed), fridge and coffee machine were great. Perhaps a little more sound proofing between top floor rooms. The bed was extremely uncomfortable and creaky and loud. Turning meant waking up your partner. The fridge was very close to the bed. The bathroom was so small I could barely turn around in it, but it was newly renovated so the fixtures were all nice and it was spotless.